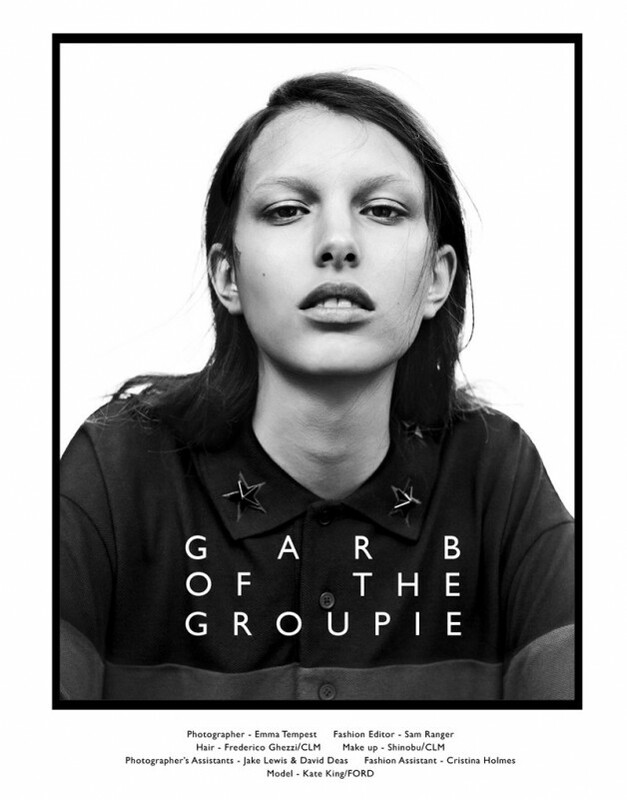 Playing with opposites, Kate King inspires us from both sides of the style spectrum in ‘Garb of a Groupie’ by Emma Tempest for Dansk Magazine. Fashion editor, Sam Ranger, goes deliberately-disco with retro inspired decadence that only the 70’s could inspire. From frosted-blue shadow to conspicuously drawn on eye-brows, this look is both captivating & alarming, capturing the era to perfection. And with a nod to menswear-chic, Tempest goes black/white, in this season’s hottest androgynous designs.